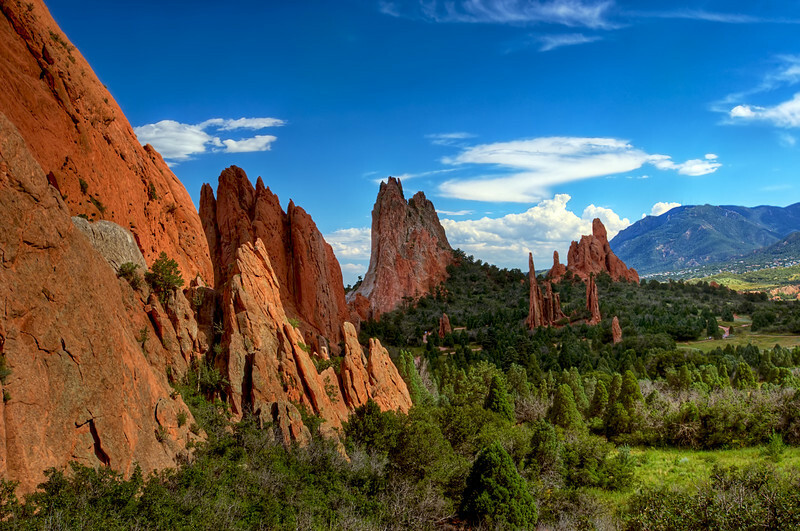 Garden of the Gods is an iconic landmark of Colorado Springs, Colorado, and is a must stop for visiting landscape photographers. The unique geology of the area is famous worldwide for the distinctive rock formations. This image features a slightly less seen angle from behind the formations looking towards Cheyenne Mountain, aka the famous NORAD. If you squint at the large on black version you can just make out multiple radio towers atop the peak associated with this Cold War relic.